As an employee of Société Générale for the past 11 years, Pierre-Elie Lanies had a lot of insight about the company. Société Générale embraces teamwork, collaboration and innovation as part of their corporate culture. Pierre-Elie discussed how during the subprime crisis of 2007, team members stuck together and helped each other out through this difficult period. A testament to the company’s emphasis on teamwork and collaboration. Now, during this more stable period, the company is evolving in answer to the changes to the industry brought about by digitization and legislation. This has created a lot of opportunities for employees to step up and take on additional projects. SocGen encourages its employees to think outside the box and work on personal projects they think will help the firm going forward. The company has a lot of quality in the staff room, with different skills and backgrounds. 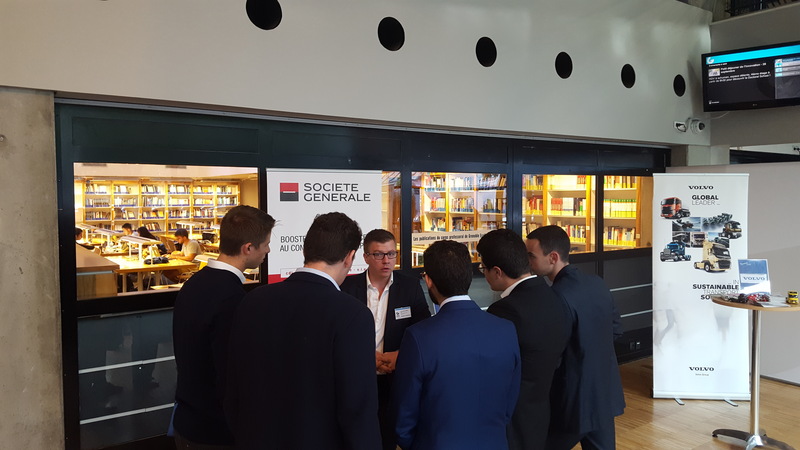 Société Générale promotes team-work, and the overall strategy of the bank is relationship focused. They also pride themselves in being an innovative bank with regards to the solutions they offer their clients. Société Générale is looking for motivated people who dare to dream and who are proactive in the pursuit of such dreams. Additionally, they are looking for people with a thirst for knowledge and a motivation to better themselves.